Earlier this year, Cyril Parsons gave an interesting talk to members of ACU3A about the history of Rail Mail – a sequence of tunnels constructed 70ft beneath the streets of London between Paddington and Whitechapel during the early twentieth century to accommodate purpose-built electric trains, thus replacing the plethora of horse-drawn wagons travelling between numerous postal sorting offices throughout the city. When the railway was completed, there were 23 miles of track and 8 stations for collecting mail to be sent to the central depot in Whitechapel or for re-directing mail to various areas of London. The driverless electric trains ran every 4 minutes, seven days per week, 22 hours per day. But in 2003 it ceased to operate for economic reasons and several suggestions were made for its future use: notably, a mushroom farm or a cycle track. 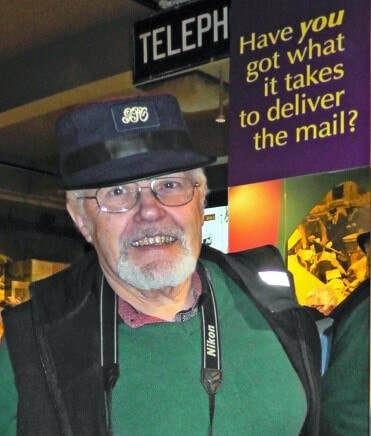 However, in 2015 the London Postal Museum purchased part of the disused track which is now maintained by a group of retired engineers/postal workers and operated as a tourist attraction. The Exhibition Room itself chronicled the history of the postal service, the genesis of which was (allegedly!) the desire of Henry VIII to communicate with his noblemen throughout the land. 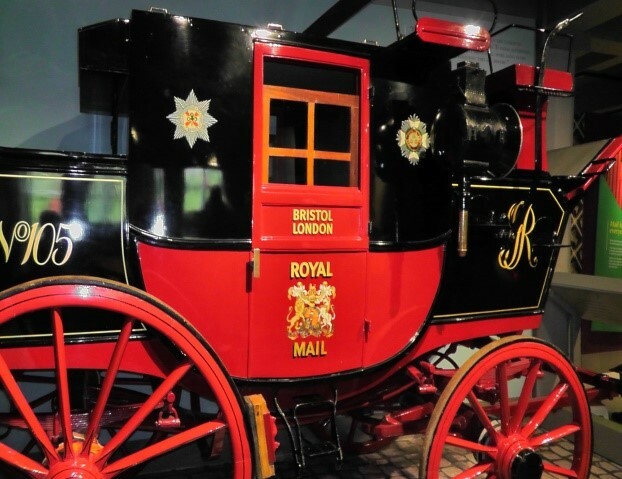 Since that time, the postal service has developed in various guises and the museum housed a fascinating array of postal service vehicles through the ages. In emphasizing the importance of keeping the postal service going throughout the First and Second World Wars, there were sad reminders of the telegrams delivered by young boys on their motor cycles to convey to relatives the loss or injury of loved-ones serving at the front, as well as the joy brought to the fighting men on receiving letters from home. On the upper floor of the museum was “The Discovery Room” with its eclectic mix of archive material, including books, leaflets and information about the postal service. In one manual I noticed that in 1692, a Postmaster in Dartmouth was paid £16, 00s. 0d. per annum; also, a death gratuity paid to a widow of a Sorting Office Clerk and Telegraphist in Dublin after his 33 years’ service was £220.4s.3d. How times have changed! The highlight of the visit was, of course, a ride in an electric train through the tunnels of Rail Mail – but not for the claustrophobic! We were tightly packed – two-abreast – beneath a close-fitting plastic canopy and the train stopped at several stations, such as Mount Pleasant, where the part played in the overall system by that particular junction was displayed by video on the platform walls. Thank you to Colin for organising a most interesting visit.